So we have Cowboys. We have Aliens. 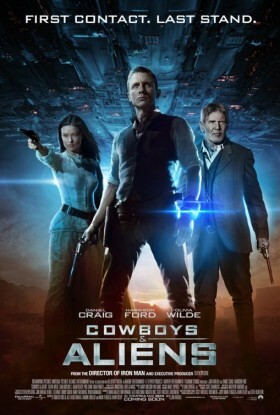 Of course its Cowboys and Aliens and it does exactly what it says on the tin. You have classic Cowboys in a small village doing everyday normal cowboy stuff. Then aliens turn up, steal some of the locals and we have a full on battle between the two. It is a classic play on the Cowboys and Indians going up against each other like we have seen in many films before however instead of the Indians you get aliens. But then of course you do, it’s John Favreau. John Favrou as we have seen in the two Ironman films loves his boys toys and high octane action and this is what you get with Cowboys and Aliens. Guns, (classic and alien) horse chases, explosions and aliens. It’s like being a child again and playing some sort of pretend fantasy game with your friends where Han Solo and James Bond have come together to fight aliens. A quick mention to Sam Rockwell’s supporting character that doesn’t have much screen time but is great every time he is on screen. 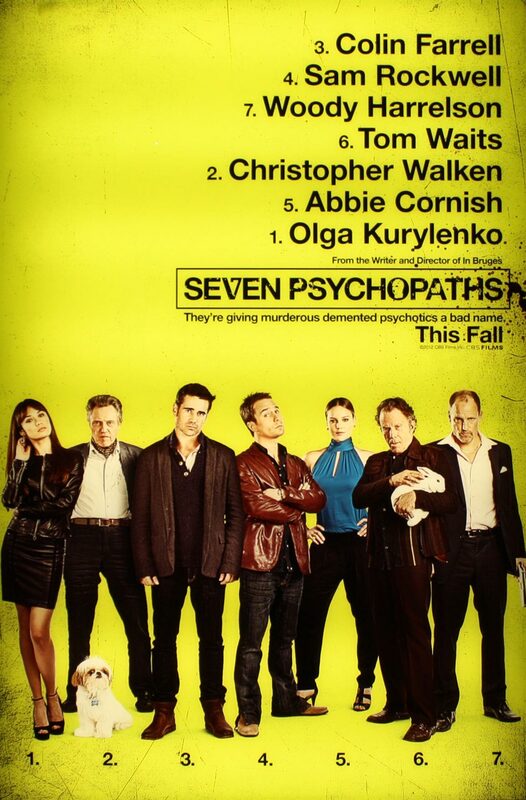 Nothing more on that, i just like Sam Rockwell as an actor. John Favreau has left the Ironman franchise and will not be directing the third in the series. However, rumours are that he will be co-writing the film with director Shane Black who directed Kiss Kiss Bang Bang which also starred Robert Downey Jr.